Today I got my new upgraded annual pass, the Disney Premiere Passport as announced yesterday during the Walt Disney Company shareholder meeting. 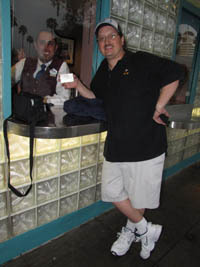 I was told I was the first Disneyland/WDW passholder to receive this new pass today at Disney’s Hollywood Studios Guest Relations (the cast members were excited and even took a picture). 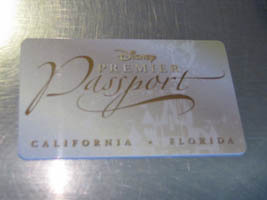 I was also told there are currently just over seven hundred duel coast pass-holders who qualify for the free upgrade to this new Premier Passport.